Accepted in the current edition of the text of the last independent edition of the book ‘Kheya’ printed during the liberation of Rabindranath. But according to the last independent version of the poet’s third quote poem living on the fay book “Poetry”, the revision according to the manuscript has been printed according to the “Tumi Jakhan Biday Dile“. 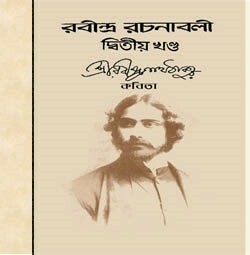 The fifth and sixth Kshitimohan Sen’s collection of the 107th volume of Gitanjali was included in the original manuscript and ‘Prabasi’, but no version of Gitanjali was published during the life of poet. It is easy to understand that the inadmissibility of the book was misguided. Because there are not many chapters in the first and second hymns without the chapter. Rabindranath Tagore does not seem to think that the removal of two chapters in the form of poetry. In the second part of Gitimala’s 15th poem, ‘Prabasi’, Eai to Tomar Maya but while poet is alive, in all the editions of the book, ‘Eai to Amar Maya’ is printed in the book. During the life of poet, there was not much added in the ‘Balaka’ Purabi and Tapobhanga and some of the poems that were included in this new edition.